Today is the fourth of July, be sure to remember and thank those who fought to defend this country and everything it stands for and keep it safe. I’m lucky enough to have two grandfathers who proudly fought for this country in WWII. Unfortunately, a few weeks ago one of those brave men passed away at the age of 88. He enlisted in 1943 and served in the Army Corps Engineers in the 1303rd Engineer General Service Regiment. At the age of 20 he shipped off for the European Theater where he provided support for the D-Day Invasion of Normandy. Under the command of General George S. Patton, he fought his way across Europe paving the way for Allied supply lines who’s primary functions was one of Patton’s fighting bridge builders who repaired and rebuilt all of the destroyed infrastructure of the war-torn cities. Eventually, his regiment went on to play an important role in Normandy, Northern France, Rhineland, Ardennes, and Central Europe. 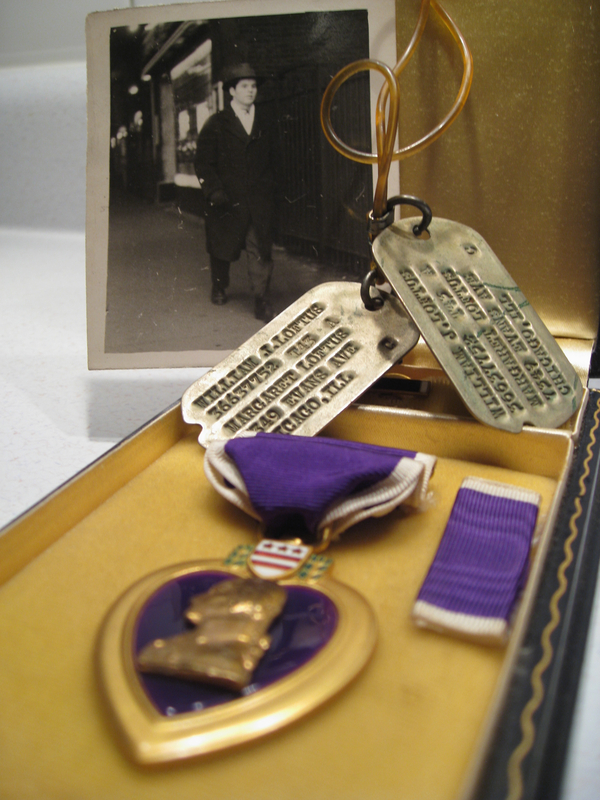 In March of 1945 he was wounded in action in Luxembourg and received the Purple Heart for his wounds. After the unconditional surrender of Germany, his regiment was shipped to the Pacific Theater where they spent time in the Philippines and Japan. So in his honor, for all that he and his fellow heroes did in that war, and all that fought in the wars before it and after, just wanted to say thanks for all your sacrifices that you did to protect our country and it’s Allies. This entry was posted in A Fallen Hero, Chicago, Holiday, Life. Bookmark the permalink.